By: Allison Bagley, Houston Chronicle Discovery Green goes galactic Saturday, when the Houston Cinema Arts Society hosts Julydoscope, a free event where NASA-inspired short films will be screened. The arts organization has selected 13 films, each 10 minutes or less, from submissions to its CineSpace initiative, a partnership with NASA that invites filmmakers around the world to make shorts using NASA archive photos and video footage. The films will be displayed on a massive outdoor screen. Houston native Richard Linklater, an Oscar-nominated director, will help judge the international CineSpace competition each year. Houston Cinema Arts Society’s Michael Robinson said films at the event will appeal to both parents and kids. In previous years, Julydoscope has centered around the movies “Xanadu” and “Hairspray.” Last year’s event was canceled due to rain. 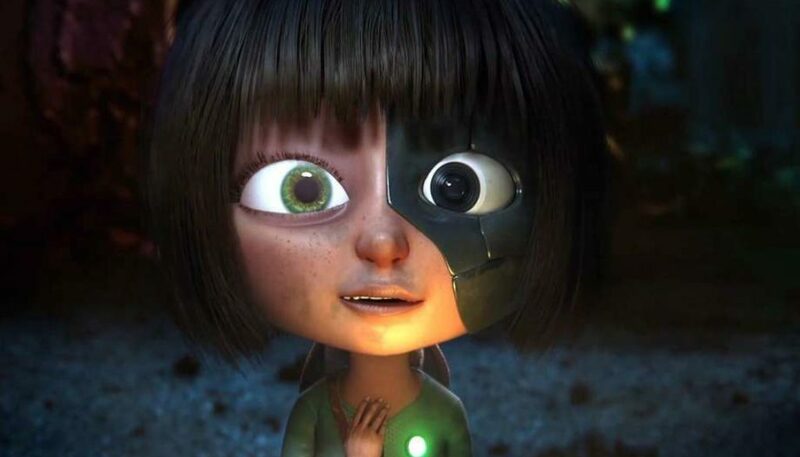 One of the films on tap is the animated “Voyager,” a story about a half-human, half-robot girl who takes an adventure through a starry galaxy, finding an artifact from a long-ago space mission along the way. The French filmmakers spliced their cartoon creation with footage of a real artifact. “How they integrated it is so seamless,” Robinson said, likening the short’s visual style with a Pixar film. “Growing up here, you hear all these stories about space exploration,” he said. The film competition “allows Houstonians to give their own stamp and imagine new possibilities” with NASA’s archival footage. “It gives a whole new layer to the science-based mindset of how people normally think of NASA.” A Houston family created and starred in “Higher Ground,” another film that will be shown. Using no dialogue, the film shows a family of four’s imagination at work. Watching a TV show about space in their living room one night, they’re inspired to go to their backyard and build a spaceship. Viewers watch Mary Magsamen and Stephan Hillerbrand, and their children Maddie and Emmett, now 15 and 12 respectively, drag everyday objects to their yard — a kiddie pool, artificial Christmas tree, Tupperware and an old television set. They assemble a spaceship, which is then painted to look more real, and climb aboard. The second half of the film takes place inside the spaceship. The family, dressed in space suits, simulate lifting off and rocketing to another world. The rocket boosters, made from trash cans, use a fog machine for effect. It took three months to build the spaceship in the 10-minute film. “We wanted to make something that was fun and creative … exploring the mythology of our family,” Magsamen said. Before the movies begin, local performance group Opera in the Heights will stage a musical they created set around the theme of space exploration. Another local arts organization, Musiqa, will perform a percussion-based piece that sounds like a rocket lifting off, Robinson said. And if a young audience member is inspired to imagine a career as an astronaut, he or she can make a stop at the NASA tent, where representatives will be on hand with some real-life artifacts. Robinson said he hopes the variety of styles of the short films will make filmmaking seem attainable to kids who might think, “I can do this in my backyard. I can pick up that camera and make something with my three best friends, and it can still be really great.” Full article can be found here.